Studying abroad is one of the best opportunities available for a college student. 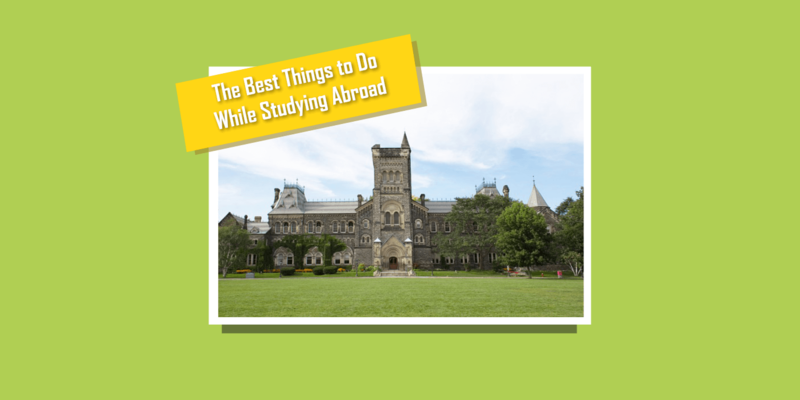 Being able to travel to a different country for a long period of time is a chance that is hard to come by once you graduate, so make sure you take advantage of it. Every country has its own set of traditions and activities that define the everyday life for its people. Indulge in them to get a feel for a life wholly different than your own. Be sure to keep in mind the local customs, however; you don’t want to accidentally overstep your boundary. Be respectful of the culture while you partake in it. It may be tempting to stick with students from your home state or country since the comfort of home is alluring. However, you’re already abroad in a foreign country, so why not interact with the local people and make friends with them? Not only will you have more people to spend time with, but they’ll also pass on information to you that isn’t generally available, like secret hangout spots or cool travel destinations within the region. You’ll also form memories with a kind of people that you might never meet again, and maybe even make lifelong friendships. Attend school and local events. It may also be tempting to stick to your room whenever you’re not in class—unfamiliar events, music, sports, or people may make the idea of attending school events daunting. However, these events are important to attend because they give you an idea of what a typical student does in your host country and helps you meet and relate to local people better (think back to events at your home school). This applies to local events as well. The demographics may be a bit more varied, but anything that gives you a chance to indulge in local customs is something you should definitely take advantage of. It will expand your cultural knowledge, which is always useful in an ever-shrinking world. Every country has its own unique foods that define its cuisine. You may have eaten from it back at home, but those are usually versions altered to fit the home palate. The food you get directly at your place of studying abroad is the authentic version people in that country have been eating for a very long time. Make sure to try out anything new, even if it is unfamiliar or not your taste. This includes foods other than cooked and baked goods as well. Your host country might have fruits and vegetables that are unavailable in your home country, so hit the local market and pick up anything that looks unfamiliar. It’s best to take your local friends on this trip to make sure you aren’t picking up anything too out of your zone. And of course, grab the local candy as well. Make a record of all your activities. This is a given. Take pictures, record videos, keep a journal or blog. Keep any ticket stubs or mementos from your trips and piece them all together in a collage or diary. Documenting your experience abroad will give you something to look back to and something to share with people back home.